North East Industrial Supplies was established more than thirty years ago in the small industrial estate on the outskirts of the city of Melbourne, Australia. These humble beginnings established a profile that has been consistent through the years as NEIS expanded into Australian and World Wide Markets. 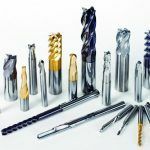 NEIS supplier of cutting tools, proud distributor of the full range of high-quality cutting tools from Sutton Tools, which includes – Button Dies, Die Nuts, HSS Drill Bits – Jobber, Long Series, Morse Taper, Reduced Shank, Centre, Spotting, Stub, Drill Sets. 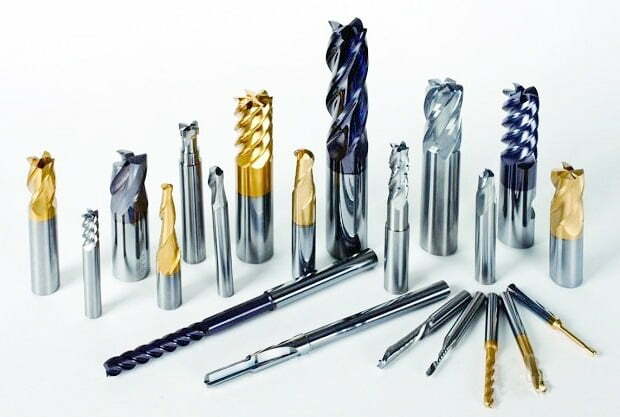 CNC Cutters – End Mills, Slotdrills, Holesaws, Reamers, Tool Bits, HSS Taps – Hand & Machine (Taper / Intermediate / Bottoming), Spiral Taps, Spiral Point (Gun) Taps, CNC Cutters and many more. The state of the art tools are sure to last and deliver the highest quality in cutting tools to your Metalworking Workshop. Sutton Tools started their manufacturing business from threads and gauges. Over the course of a few decades, they grew its expertise into a more varied portfolio for cutting tools. There are numerous specialised industrial applications for Sutton Tools. Even though its tools are used in a wide spectrum of industries – such as manufacturing, medical, power generation, automotive and mining – the furthest advancement it has experienced in material technology are happening in the defence, aerospace and oil/gas industries. NEIS also stocks other cutting tools such as Noga Deburring Tools and Noga handle holders. Browse through our list below, or get in touch with us with your enquiry. Check out our full range of Air Fittings products supplied by North East Industrial Supplies. Here we have the widest range of air hoses and airline fittings & accessories. NEIS is one of the leading suppliers of industrial Consumable products in Australia. We are offering a full range of high-quality consumables, which includes Safety & Protective Wear, silver steel stubs, air compressor oil and many more. KIPP are trusted manufacturers of operating parts, standard elements and clamping technology. NEIS is a trusted KIPP agent and supplier of high quality KIPP tools and operating parts in Australia. We can provide all KIPP products according to your requirements. Choose from a wide range of hand tools supplied by North East Industrial Supplies from the best brands such as SIDCHROME, STANLEY, Moore & Wright, KINCROME, BONDHUS. NEIS is the Australian distributor of quality machine toolsand manufactured parts with strong & long established trading partnerships with companies of integrity such as, Kipp, Sutton Tools, St Gobain Abrasives, Sidchrome, Deb Skincare, Hobson Fasteners and Unbrako. Our business focus evolved from what once was a reliable local supplier of engineering and industrial supplies to being a major associate to many large companies and their projects Australia wide. We have associations with engineering and manufacturing experts in a comprehensive range of areas. Our associates are highly skilled experts in their fields from clamping solutions to purpose built machines and fixtures.